The racing hasn’t become any easier throughout the long season, but the boys of Raleigh’s 706 Project seem to be getting faster and faster. Ryan Sullivan, Brendan Cornett and Andy Scarano were ready early Saturday morning in Buchanan, TN at the Paris-Landing State Park, but a thunderstorm delayed them an hour. Finally, the race officials decided to start the 44-mile day in the pouring rain and the wet riders left the state park. Sullivan got a front flat as soon as the race began, setting him back as the breakaway formed. Cornett and Scarano covered every move, while Sullivan caught up after his wheel change. At mile six, Cornett jumped and started a successful break with Scarano close behind him. The break worked well together, holding a 90 second gap. Around 30 miles into the race, Sullivan and four others bridged across the gap. Hank Booth from Finish Strong attacked from there and quickly made a 30 second gap, while Sullivan got another flat. But with about eight miles left, Sullivan caught up. Cornett attempted to catch Booth and pulled alongside him in the last four miles. The two held off the rest of the break and Sullivan out-sprinted Booth for the win! A minute later, Scarano came through the finish in fourth and Sullivan in sixth. The rain stopped for Sunday, but the blistering, humid Tennessee heat took its place. 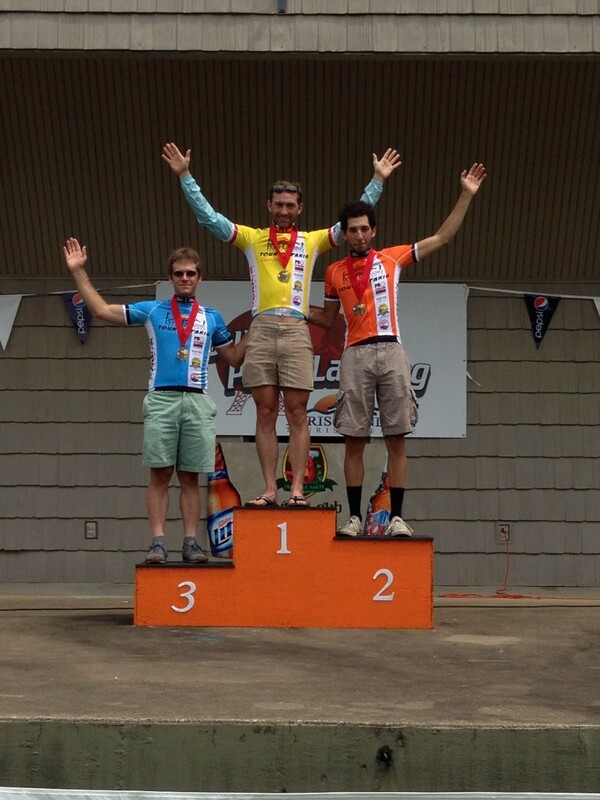 Sullivan and Scarano were excited to help Cornett defend his Tour de Paris yellow jersey on the 86-mile ride. The race started slowly, with everyone exhausted from the previous day. But at mile six, Scarano and seven others formed a break. Sullivan and Cornett stayed back. Each rider downed bottle after bottle on the hot day and Brendan and Sullivan worked slowly to bridge the gap. At mile 65, Andy Crater from Finish Strong and Buddy Spafford teamed up to work against Scarano. The two attacked until Crater got to the front with five miles left, holding the gap for the win. Scarano won the finish sprint from the break and ended up in second. Cornett and Sullivan rounded out the day in top ten. In the overall, Scarano moved into second place and Cornett to third, with Crater sitting in first. But, it was a successful weekend for all three 706 Project boys, complete with a healthy amount of cash and merchandise awards. The 706 team will look to carry this momentum into the last couple of months of racing for the year!